Few classes of warship changed the way naval battles are fought more than the aircraft carrier. Touring an aircraft carrier is a thrilling experience that gives you a glimpse into life aboard one of these floating air bases and the history they made. Here you will find information on aircraft carriers around the world that you can visit and tour. 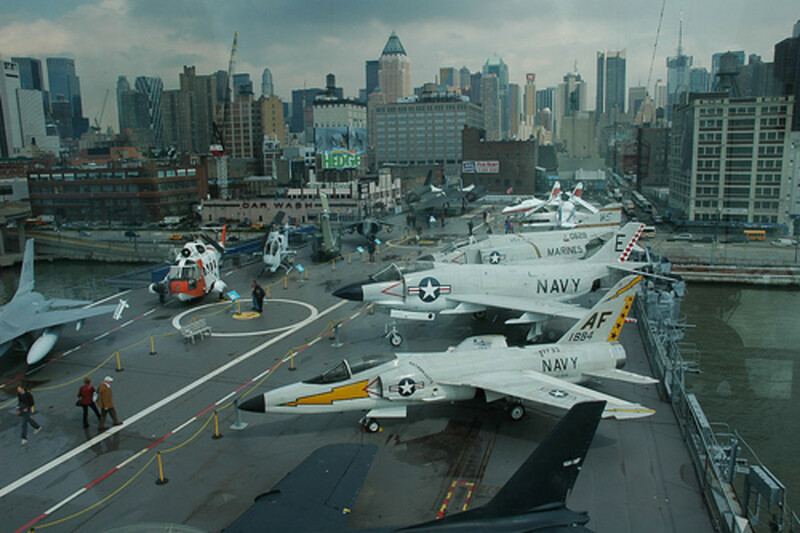 Many aircraft carrier museums also include some of the aircraft that flew from them. These planes and helicopters are usually on display on the flight deck and/or the hangar deck. Image is the USS Saratoga (CV-60) (Source: US Naval History & Heritage Command). To learn about the effort to convert CV-60 into a museum ship, visit the USS Saratoga Museum Foundation site. What is an aircraft carrier? Read the rest of the Wikipedia Article. The USS Intrepid is an Essex class aircraft carrier commissioned in 1943. She served in World War II, the Vietnam War and was a recovery vessel for the Mercury 7 and Gemini 3 space missions. Intrepid was decommissioned in 1974 and opened as the Intrepid Sea, Air & Space Museum in New York in 1982. She is also home to the space shuttle Enterprise. 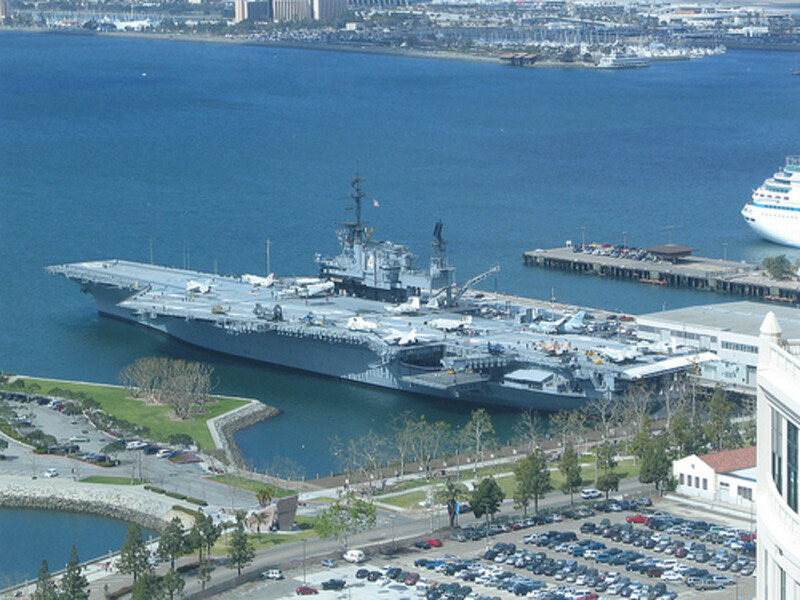 The USS Midway was commissioned in 1945 after the end of World War II. She saw action in the Vietnam War and Operation Desert Storm before being decommissioned in 1992. The Midway is now open to the public as a museum ship in San Diego, California, that includes 25 restored aircraft on display. Have You Served On An Aircraft Carrier? The USS Yorktown was commissioned in 1943 and saw action in World War II and the Vietnam War. She also served as a recovery vessel for the Apollo 8 space mission. In 1975 the Yorktown began life as a museum ship just across the river from Charleston, South Carolina. The USS Hornet was commissioned in November 1943 and saw heavy action in the forward areas of the Pacific theater in World War II. After modernization and reactivation in 1951, she served in the Vietnam War and was the primary recovery ship for the Apollo 11 and Apollo 12 space missions. These were the first two lunar landing missions. 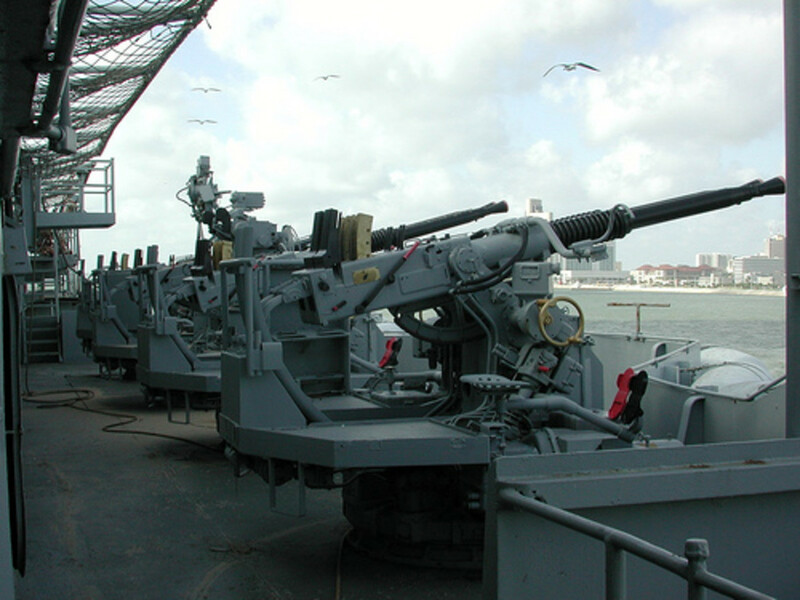 The Hornet was decommissioned in 1970 and opened as a museum ship in 1998 in California. The hit PBS series about life aboard the USS Nimitz. From the deck hands to the pilots to the ship's captain, this amazing series provides an intimate view into the lives of the men and women sailing aboard an active duty aircraft carrier. I learned a lot about the highs and lows of life at sea watching this. The series has a great soundtrack, too. When finally decommissioned in 1991, the USS Lexington was the oldest working aircraft carrier in the US Navy. 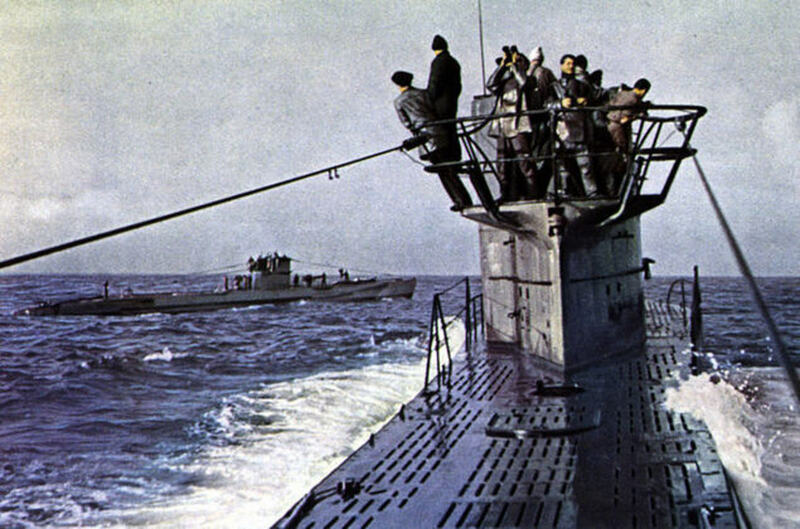 She survived torpedo and kamikaze attacks during World War II and the Japanese claimed to have sunk her four times. That reputation and her dark blue paint scheme earned her the nickname "The Blue Ghost". Lexington served primarily as a training carrier for naval aviators since 1962 based out of Pensacola. You can now tour the Lexington in Corpus Christi, Texas. Help your kids (or grand kids) get interested in aircraft carriers and have fun at the same time. Introducing them to the ship with a book or toy before touring a real aircraft carrier will help them enjoy the experience aboard that much more. This book is written at an easy to understand level for kids that will help them begin to learn about these great ships. 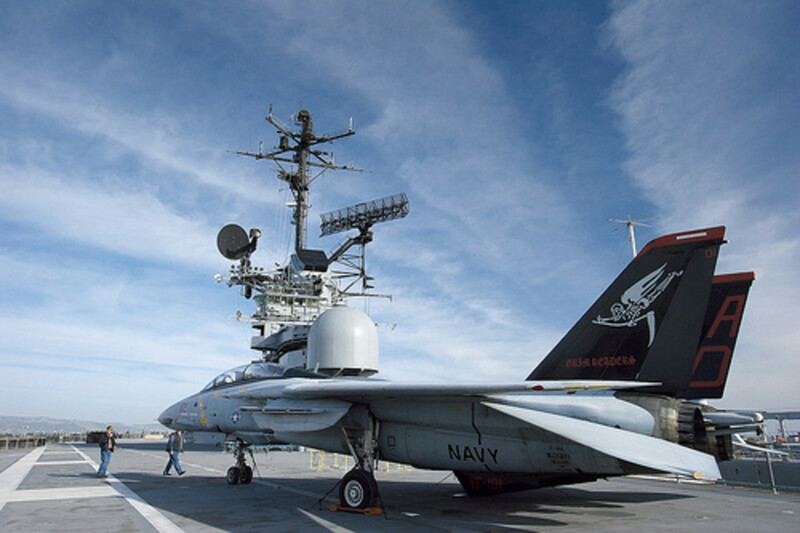 Most aircraft carrier museums are owned and maintained by non-profit organizations. These ships require a lot of work and money to restore and keep afloat. Please remember that your admission ticket only covers a portion of these costs. There is usually a donation box on site or you can find donor information on the ship's website. These organizations also depend on volunteers to help perform maintenance and/or guide tours. If you have experience working on ships or just want to help keep history alive, then consider volunteering. Check the website of the carrier you're interested in or ask when you visit for more information. Originally launched by Great Britain in 1945 as HMS Hercules, the INS Vikrant was later sold to India and joined the Indian Navy in 1961. She saw action in the 1971 India-Pakistan War. 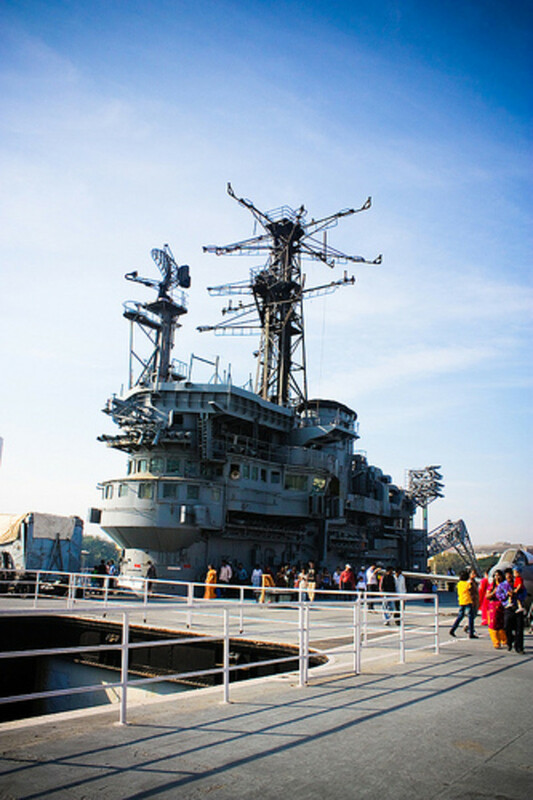 Vikrant was decommissioned in 1997 and now serves as a museum, the only British built aircraft carrier to do so. There's not much info available on touring INS Vikrant. From what I found she's only open to the public certain weeks of the year (November-December) and possibly on weekends. To get there you either have to enter the Naval Dockyard at the Tiger Gate or take a ferry from the Gateway of India. 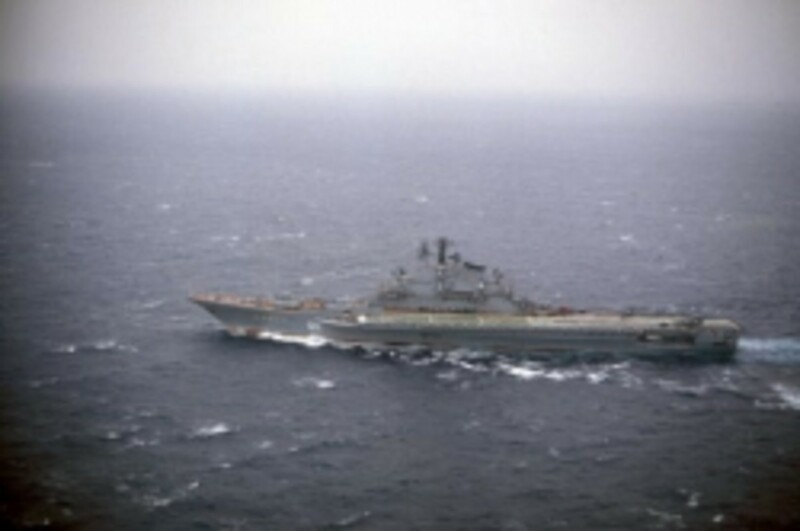 The Soviet aircraft carrier Minsk was commissioned in 1978 but retired early in 1993 due to a "major accident". She was sold in 1995 and later became the centerpiece of a Chinese military theme park called Minsk World in Shenzhen, China. An in depth look into the workings of the aircraft carrier and its impact on modern warfare. Authored by Tom Clancy, the master of writing about military hardware and strategy. 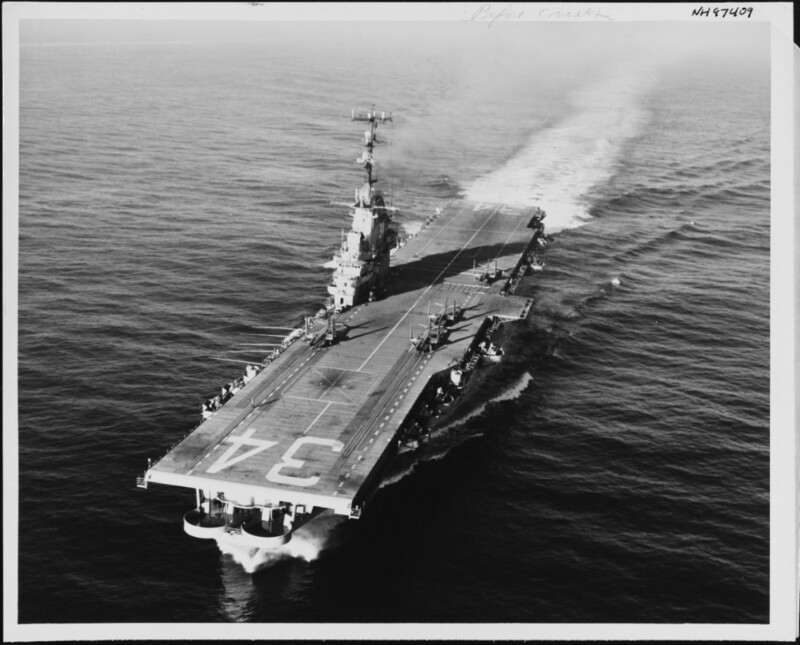 The USS Oriskany was commissioned in 1950 and saw action in the Korean War and Vietnam War. US Senator and former presidential candidate, John McCain, was based on the Oriskany when he was shot down and held as a POW during the Vietnam War. The "Mighty-O" was decommissioned in 1976 and was almost scrapped during the 1990s. In 2006 she was stripped of environmentally hazardous materials and purposely sunk in the Gulf of Mexico to become the world's largest artificial reef. She is now a memorial to the men who bravely served on her as well as a popular attraction for fish and recreational SCUBA divers. The ship sits upright on the bottom with the top of her smokestack at 80' and most of her island above 130'. Check out the links below for underwater pictures and more info on diving Oriskany. Pictures and video of the Oriskany at her final resting place along with wreck coordinates and links to other shipwrecks on the dive trail. MBT Divers was involved in the sinking of USS Oriskany and their site has lots of info about the ship and diving her. Construction of the USS Saratoga began as a battle cruiser but was later re-ordered as an aircraft carrier. In 1927, she became the second ever commissioned aircraft carrier in the US Navy. 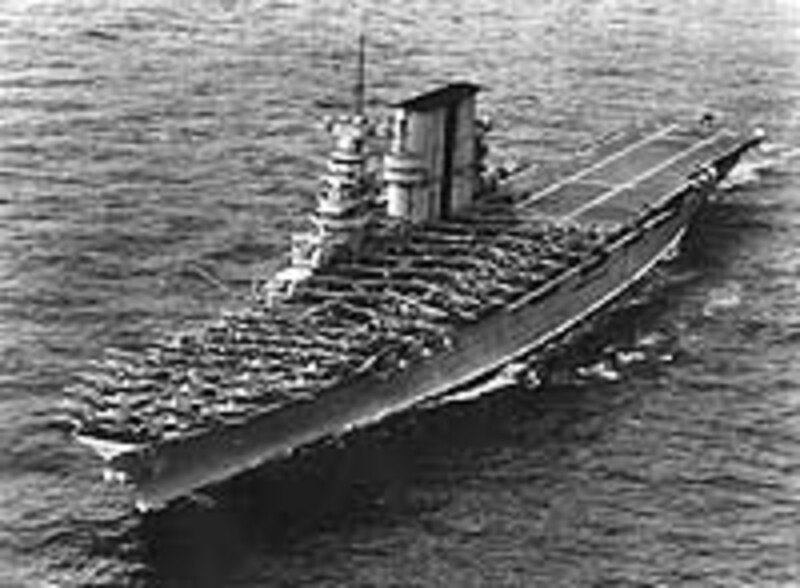 Saratoga saw significant action in the Pacific during World War II including the Guadalcanal Campaign and was awarded seven battle stars for her service. Her last action was as a target in the nuclear test fleet during 1946 where she was sunk by underwater atomic test Baker. Saratoga sits upright on the floor of the lagoon with her bridge at 40 feet and flight deck at 90 feet. The hangar is accessible at 125 feet and still contains the Helldiver bombers and bombs on board during the test. You can find more info on diving the Saratoga and other nuclear test ships at the Bikini Atoll Dive Tourism site. After visiting an aircraft carrier or two, take a tour of other historic ships in port. 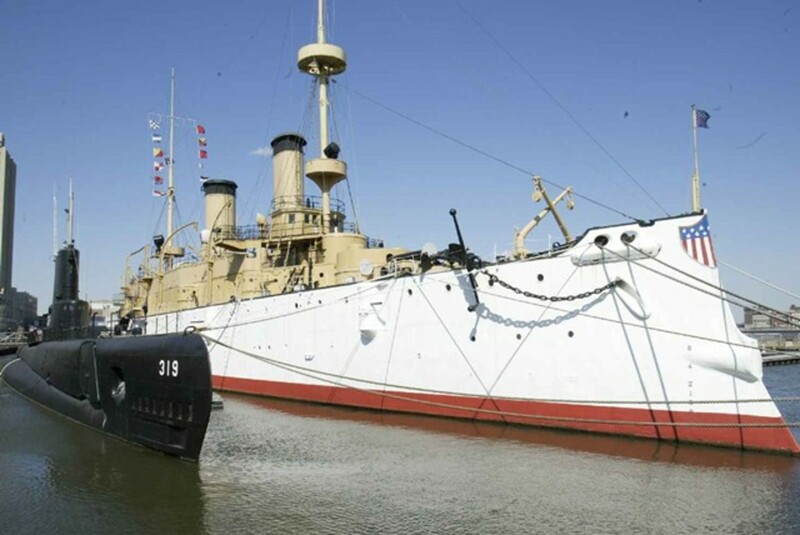 Below are lists of different types of museum ships that you can tour. Except where otherwise noted, all aircraft carrier photos are used under Creative Commons from their respective owners. USS Saratoga (CV-60) in the public domain at the US Naval Historical Center. HMS Illustrious (R 06), USS Harry S. Truman (CVN 75) and USS Dwight D. Eisenhower (CVN 69) in the public domain at the United States Navy. USS Intrepid used under Creative Commons from thinboyfatter. USS Midway used under Creative Commons from Peter Kaminski. 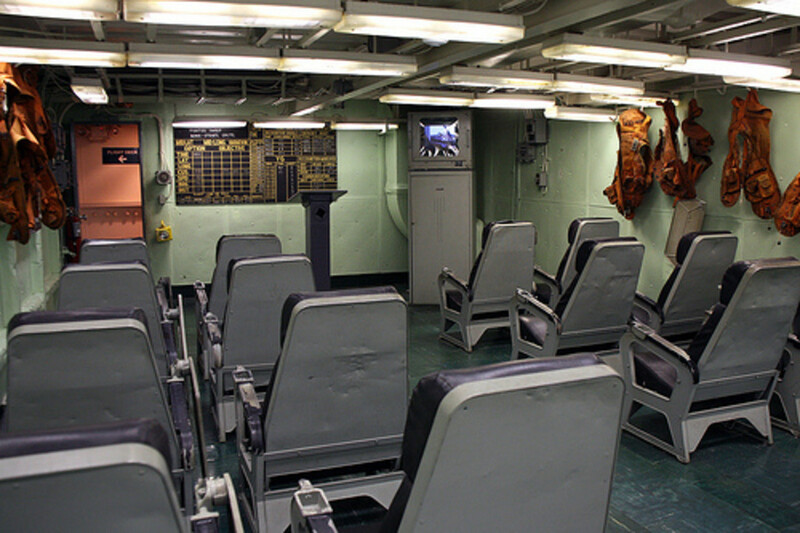 USS Yorktown Ready Room used under Creative Commons from Mr. T in DC. F14 on USS Hornet Flight Deck used under Creative Commons from vixyao. USS Lexington used under Creative Commons from cliff1066TM. USS Valley Forge (CVS-45) in the public domain at the US Naval Historical Center. USS Oriskany in the public domain at the US Naval Historical Center. USS Saratoga in the public domain at the US Naval Historical Center. 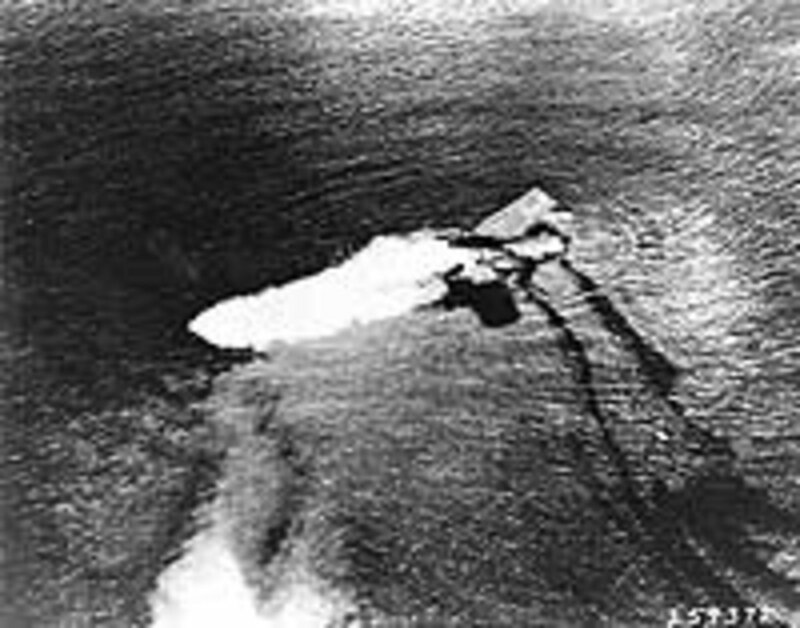 USS Saratoga sinking in the public domain at the US Naval Historical Center. INS Vikrant used under Creative Commons from swapnil gaikar. SV Minsk in the public domain at the US Department of Defense. Have you toured or served on an aircraft carrier? What do you think of these mighty ships? Please leave a comment in the log book below. I served on the John F. Kennedy CV67 1969-1971 with VA-72. I was a final checker on the bow catapult for my squadron. I also attended the decommissioning ceremony in Jacksonville, a sad day. Served on the US Franklin D Roosevelt (CVA-42) from late 1972 - 1976. I was with VA-176 Thunderbolts (based in VA Beach, VA) & worked on the A6A, A6C & KA-6B (tankers). Would love to have my family tour a decommissioned carrier so they can see how a big part of my Navy experience was. 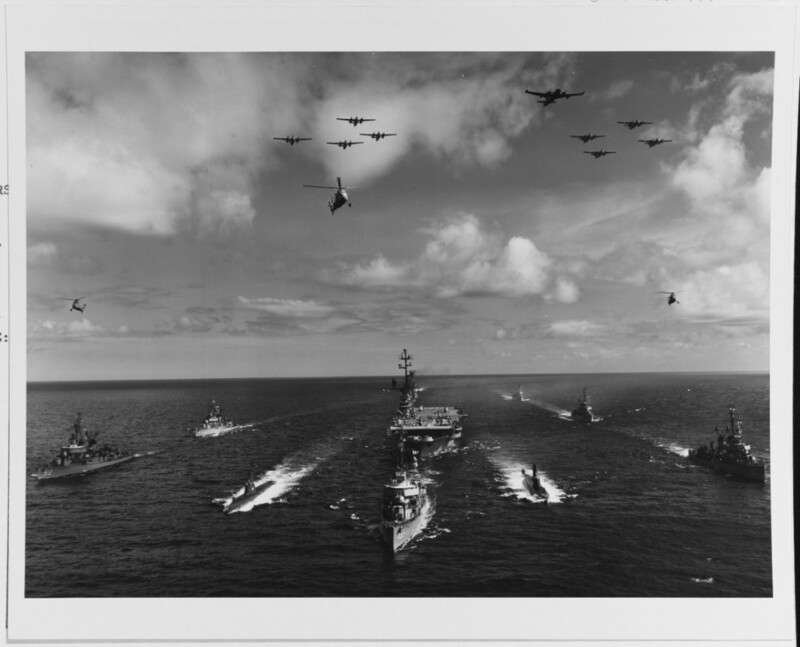 My brother was in a squadron that was assigned to the JFK (USS John F. Kennedy, CVA-67, now decommissioned). When I was stationed in Jacksonville the JFK pulled into Mayport (one of three Navy bases in the Jacksonville area) and a friend of his from his squadron gave me a tour of the boat. The things I remember most about the tour were the horrid taste of JP-5 in the drinking water and how good the meat loaf was; although, when I mentioned that to my brother's friend he shook his head and sighed, "But this is the sixth time this week we've had meat loaf!" And that was on a Wednesday. Great lens. I've visited the US Saratoga via a dive (it's underwater). Besides that, I've seen the Theodore Roosevelt from shore. I visited the USS Intrepid in New York. Interesting visit. 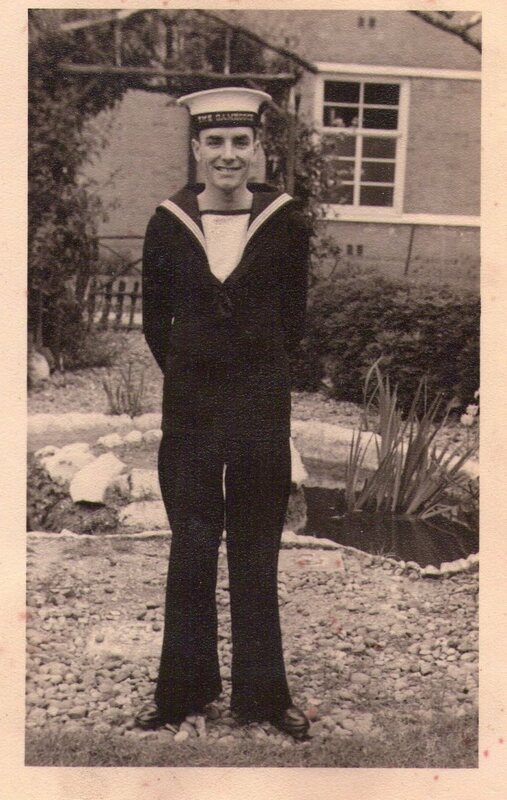 many kudos to those who served on the early carriers during ww2! Spent a week aboard "Hornet" as a Midshipman. Cruised on "Independence" (6 months, the Med), and "Constellation" (10 months, WestPac). Landed on "Enterprise", "Kitty Hawk", "Midway", "Coral Sea", and "JFK". Never toured any these but i will love to. great lens. wish you a happy 2013. Was aboard the U.S.S. Ranger (CVA61) in 1960 as a Photomate 3rd Class. I have toured the Lexington and support the restoration of the Ranger -- now in need of funds. I had the opportunity to spend the night on the Lexington, last year with the cub scouts. It's a pretty cool experience. It's retired, but we were able to bunk in the same where the crew used to bunk and eat in the mess hall. It truly gives you a humbling perspective on what the crew had to work with back in WWII. Pretty neat experience. is there a working aircraft carrier that you can visit,my partner is 50 yrs old next year and he would love to se one close up in action,i have been searching how to do it for two years i would love to surprise him,can anyone help. My father was a Captain on the Yorktown in the 1950s. I was so happy to discover a tribute lens to these mighty warships. Beautiful lens! I visited the Midway but was not able to tour. Unbelievable ships. Thank you for sharing this information. Adding them all to my "to do" list! I can't believe that I haven't toured one of these yet. You know I'm going to have to fix that! Thanks for letting me have a look!! 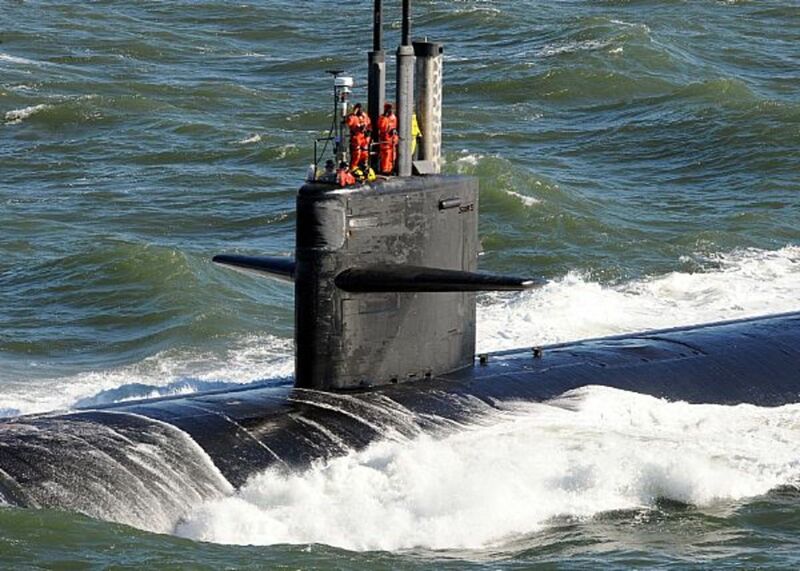 I have toured a nuclear sub and several destroyers, but never a carrier. I would love to take a tour. Great lens - thanks. Cool lens. I toured and stayed aboard the Kittyhawk for a couple nights. Fantastic memory -- but then, I was just a visitor. Thanks for the great pictures, text, and links. My grandfather served on the Yorktown. I'll have to go and visit for sure. Really enjoyed your lens. 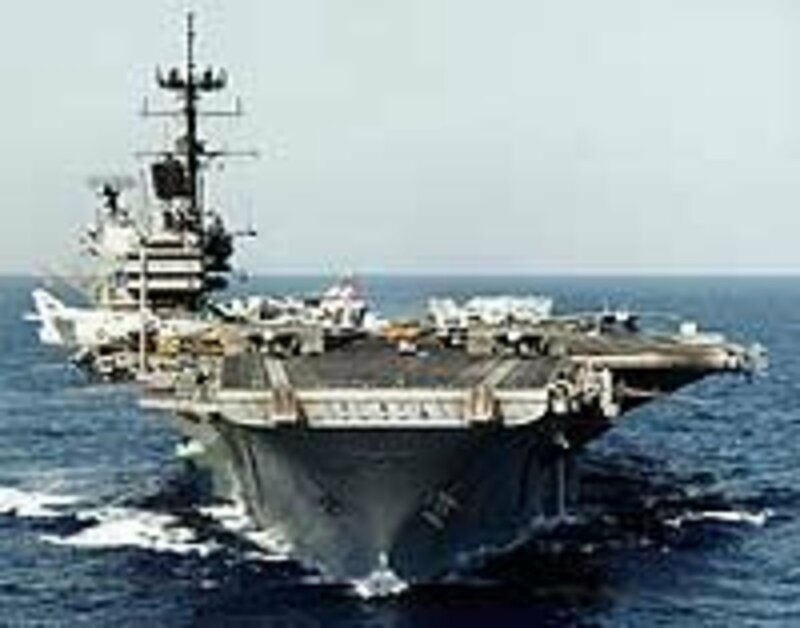 I served aboard USS Saratoga CV-60 from 1973 to 1977. She was my first ship. I worked in The Repair Division Pipe Shop, located over the port quarter and accessed from the port quarter. I've seen the Yorktown in SC. That sucker is HUGE! My dad is a big WWII buff, especially the war in the Pacific, so we toured carriers whenever we could. My only experience of seeing an aircraft carrier was from photos that my girlfriend's son sent home when he was aboard te Enterprise aircraft carrier. My interpretation of a floating city...5,000 crew members, an infirmary, a jail, and post office is just a few of the amenities that makes the US Navy the greatest Navy in the world! I haven't toured an aircraft carrier but I have toured a sub and a warship. Interesting and we had to keep ducking our heads--some low overhead spots at the stairwells. I've never toured an air craft carrier, but I used to see them from time to time docked in Port Everglades down in Florida when I lived in the area. 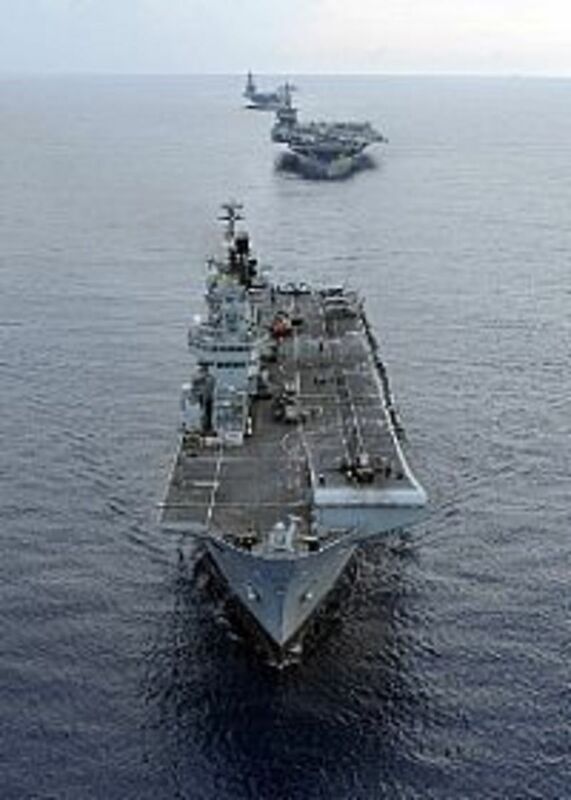 Once, I was in a tiny boat and we came up alongside the carrier and, wow, did that make us feel small! I'd love to go aboard one someday. A couple of years ago we toured the USS Nimitz when she hosted a Friends and Family Day Cruise. It included an awesome air show. Very interesting. We saw a big pod of dolphins too. 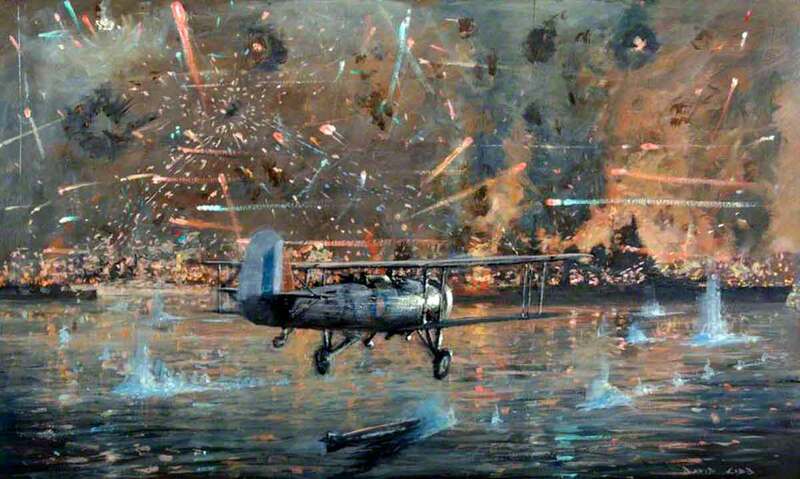 Good lens about aircraft carriers. I really like it"
I have toured an aircraft carrier. It was an unforgettable experience. Really great idea for a lens! This sounds like a lot of fun and it's very interesting. We toured the Lexington a number of years ago in Corpus Christi, Texas. Really enjoyed it. My dad is a WWII Navy vet and it kind of brought him back in time. We haven't had the opportunity to tour an aircraft carrier yet but have done battle ships and subs. We have lots of Navy vets in our family. My friend's dad work on an aircraft carrier, she visited the ship couple of times but I never had a chance. Well done lens! Very cool lens. Looks awesome. I would like to tour one sometime! I have always been fascinated with the mighty aircraft carriers. What a great idea for a lens and activity! Enjoyed the lens, I see the history of these carriers on the Miliatary Channel, we toured the Intrepid last summer. I haven't been on an aircraft carrier since a kid, but it was really interesting! Nice work. My son is serving on the USS Nimitz. We went on the Nimitz Friends and Family Day Cruise in March 2009. They are awesome war ships! Lensrolled to several of my aircraft carrier lenses.